There are no Sunnah days for cupping (hijama) in this month of Safar as the 17th, 19th and 21st of Safar do not correspond with a Monday, Tuesday or Thursday. arabic means to fast until after being treated with cupping. 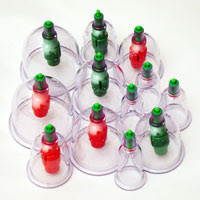 Once the treatment of cupping has been completed, one may eat and drink.